Take your fundraising campaigns to your online supporter social networks. Engage with your supporters, foster communities, and garner interest in your cause with social fundraising. Turn your donors into fundraisers. Individuals looking to create their own fundraising pages will be guided through the full process online. They upload their picture, create an explanation of why they are raising money, and set the goal amount they are aiming to raise. See real-time results of your fundraising efforts, including a rolling list of all donors. NeonCRM auto-generates html code, allowing organizations to implement a dynamic thermometer for a specific campaign. Allow individual donors to leave encouraging messages to the team captain or personal fundraising page. Allow your constituents to create their own fundraising campaign pages. Whether it is a walk-a-thon, 5k run, or school play, turn your organization’s constituents into fundraisers. All information automatically feeds directly back into the NeonCRM and is tracked to the specific campaign as well. 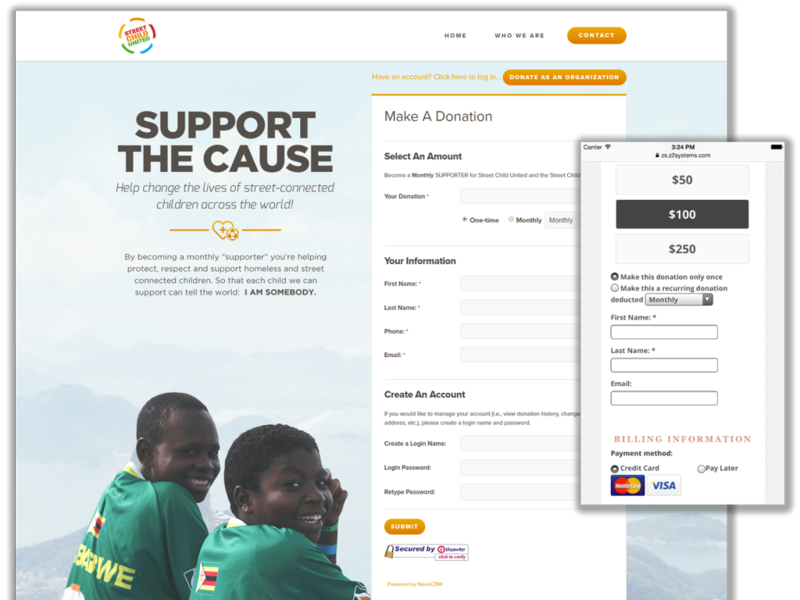 Add your campaign or organizational header, an overall campaign message, and allow fundraisers to add their own message and team picture. Turn donors for one event into long term sustaining donors with recurring donations on the social fundraising page. Since the social fundraising module is part of the NeonCRM, fundraisers and their donors become part of your donor pool within the database, allowing your organization to more easily attract and retain sustainable donors over time. Your NeonCRM is able to process credit card and eCheck payments with your existing merchant account. There are no additional fees associated, which allows your organization to keep more of the hard-earned funds you raise. Bring together fundraising and events registration into one cohesive campaign. Registrants can give your fundraisers credit when they register for your event. 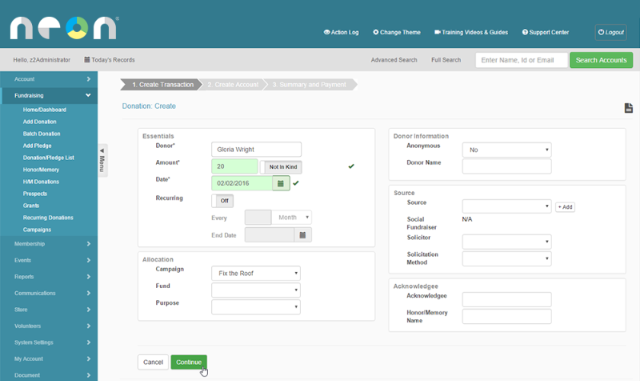 Allow all individual fundraising pages to be connected to specific campaigns so all revenue is tracked to those overall campaign. Easily enables fundraisers to share their fundraising page on Facebook, Twitter, and other Social Networks. See how Neon’s grant management software can help your organization. Take me to a free demo of Neon’s grant tracking software.